LV Bet is one of the newest bookmakers in the betting industry, as they were established just two years ago. LV Bet is owned and operated by Fairload Limited, a company which is based in Malta and which gives them the rights to operate across the European Union. Despite the fact that LV Bet is kind of new in the industry, they have had loads of new customer deals over the past year. This is a fantastic offer as it doesn’t require any deposit. You just need to create an LV Bet account, then send an email, with “£5 Welcome Bet” in the subject line, to [email protected]. Your account will be credited with a £5 free bet. This promotion is only valid for new sportsbook customers who registered using a special promotional material. 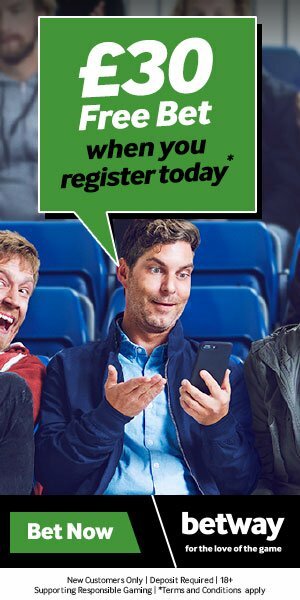 You must be aged over 18 to open an LV Bet betting account. Free bet promotion open to UK & Ireland residents only. T&C’s Apply.